The behavior of small blood vessels in response to vasoregulatory stimuli and pathological disturbances affect the rheological state of blood within the microvasculature. The principal determinants of the apparent viscosity (hematocrit and shear rate) are directly influenced by levels of flow and alterations in vascular diameter. These physiological responses are inseparable from the viscous properties of blood. Several shear-dependent mechanisms of vasoregula-tion (e.g., those mediated by prostacycline and nitric oxide) are strongly dependent on levels of shear stress (t) which is related to h by Newton's law of friction, t = hg. Thus, changes in vascular diameter may affect the apportionment of flow (Q) throughout successive microvascular divisions and the fraction of the overall arteriovenous pressure drop that appears along individual microvessels. These pressure gradients, in turn, dictate flow and wall shear rates within a single vessel. If blood behaves as a Newtonian fluid, and Poiseuille's law governs the relationship between pressure g. radient and flow, then wall shear rate would be given by g = 32Q/pD3. This relationship serves to couple the intrinsic properties of blood to microvessel flow. (Q) and diameter (D) via the relationship between h and g.
Figure 4 Blood cell deformability is an important determinant of the ability of RBCs and WBCs to pass through the capillary. In many networks the true capillaries are often smaller than the characteristic size of a blood cell. Shown are the pathways of perfusion taken by fluorescently labeled plasma (A), RBCs (B), and WBCs (C). Compared to plasma, the lesser intensity of RBCs in many vessels suggests that many RBCs traverse the network from arteriole to venule through larger diameter pathways. This behavior is much more striking for the larger and stiffer WBC that appears to travel through more centrally situated thoroughfare channels. From Eppihimer and Lipowsky (1994). Am. J. Physiol. 267, H1122-H1134. may be reduced. Conversely, reductions in HMICRO may decrease resistance (h) and thus increase Q, while diminishing the red cell content (^MICRO). It has been demonstrated that there exists an optimum level of hematocrit that serves to maximize red cell flux through the microvascular network. With changes in ^MICRO above or below its optimum value, red cell flux may fall dramatically. Measurements of red cell flux in various organs reveal a paraboloid maximum dependent on HMICRO, with a relationship that is affected by the state of vasodilation or constriction with the arteriolar network. The long-standing hypothesis that decreased viscosity will enhance oxygen transport by improving flow has recently been challenged by developers of blood substitutes . It has been shown that elevations in blood substitute viscosity serve to elicit a vasodilatory response to increased shear stresses and thus enhance microvascular blood flow. The inverse relationship between resistance to blood flow and the fourth power of vascular diameter (Poiseuille's law; see Sutera and Skalak ) serves as a dominant determinant of microvascular perfusion . Interactions of the RBCs and WBCs with the microves-sel wall may also affect the resistance to flow. In some pathological disorders, such as sickle-cell disease, RBCs have a tendency to adhere to the microvessel wall, and if levels of flow are low enough, their adhesion may impair perfusion of the network by obstruction of the microvessel lumen. The receptor-mediated adhesion of WBCs to the venular walls of postcapillary venules may also have a dramatic effect on resistance to flow. During the inflammatory process, WBC adhesion may proceed to an extent where it can obliterate the venular lumen. It has been demonstrated that as few as 12 WBCs adhering to the wall of a postcapillary venule per 100 mm of venular length may double the resistance to flow within that vessel. Indirect studies of hind-limb perfusion have suggested that the presence of WBCs within the capillaries may affect the distribution of red cells and thus adversely increase resistance. However, removal of WBCs from the circulation has shown only a 5 percent decrease in resistance at the capillary level. In the low-flow state, the entrapment of WBCs at the entrance to capillaries may also adversely affect resistance to flow and diminish the throughput of flow from arteriole to venule. The extent to which these effects impair microvascular perfusion has been shown to be dependent upon the rate of accumulation of WBCs, the stiffness of the WBC, and the influence of inflammatory mediators that affect WBC deformability. Although a wealth of in vitro and in vivo rheological studies have served to characterize the intrinsic mechanical properties of blood cell suspensions and blood cellular elements, new mechanisms have come to light that may affect the resistance to flow in microvessels. It has been suggested that low levels of red cell aggregation (as may occur in fibrinogenemia) may enhance the contact of WBCs with postcapillary endothelium and thus promote elevation of leukocyte-endothelium adhesion , leading to increased resistance to flow. Studies of the function of the endothelial glycocalyx have suggested that its removal may result in diminished resistance to blood flow . Recent studies have demonstrated that components of the endothelial glycocalyx may be shed during inflammation and ischemia, resulting in diminished resistance due to increases in the vascular lumen, or increased resistance due to elevations in WBC adhesion to venular endothelium . It is clearly evident that in order to understand the rheological determinants of the resistance to flow within the microcirculation proper, greater attention needs to be given to blood interactions with the endothelial cell surface at the molecular level. 1. Zweifach, B. W., and Lipowsky, H. H. (1984). Pressure and flow relationships in blood and lymph microcirculation. In American Physiological Society Handbook on Microcirculation (E. M. Renkin and C. C. Michel, eds. ), Vol. I, pp. 251-307. Am Physiol Soc, Bethesda, MD. Overview of the distribution of intravascular pressures and flows in the microcirculation proper with an emphasis on in vivo viscous properties of blood and the determinants of resistance within successive microvascular divisions. (E. M. Renkin and C. C. Michel, eds. ), Vol. I, pp. 217-249. Am Physiol Soc, Bethesda, MD. Thorough overview of the mechanics of blood cell behavior in small bore tubes. Establishes a necessary framework to understand in vivo determinants of the resistance to flow. 3. Cokelet, G. R. (1999). Poiseuille Award Lecture. Viscometric, in vitro and in vivo blood viscosity relationships: How are they related? Bio-rheology 36, 343-358. Comprehensive summary of the rheology of blood flow as assessed in viscometric instruments and its relevance to in vivo blood viscosity. 4. Lipowsky, H. H. (1986). In situ measurement of microvascular hematocrit. In Microvascular Technology (C. H. Baker and W. L. Nastuk, eds. ), New York: Academic Press, pp. 161-178. Overview of techniques for measurement of microvascular hematocrit in small blood vessels and the trends routinely observed in successive divisions of the microvasculature. 5. Sutera, S., and Skalak, R. (1993). The history of Poiseuille's law. Ann. Rev. Fluid Mechanics 25, 1-20. Historical account of the seminal studies of this pioneering scientist, who discovered the laws governing fluid flow in small-bore tubes in his quest to understand the mechanics of blood flow in microvessels. 6. Pries, A. R., Secomb, T. W., and Gaehtgens, P. (2000). The endothelial surface layer. Pflügers Arch. Eur. J. Physiol. 440, 653-666. Overview of molecular composition and structure of the endothelial cell glyco-calyx in the microvasculature. 7. Reinke, W., Gaehtgens, P., and Johnson, P. C. (1987). Blood viscosity in small tubes: effect of shear rate, aggregation and sedimentation. Am. J. Physiol. 253: H540-H547. Illustrates the difficulties in performing in vitro simulations of blood flow in tubes comparable in size to microvessels. 8. Tsai, A. G., and Intaglietta, M. (2001). High viscosity plasma expanders: Volume restitution fluids for lowering the transfusion trigger. Biorheology 38: 229-237. Seminal paper hypothesizing the vasodilatory response to increased viscosity (shear stress) of blood substitutes that results in greater blood flow. See the chapter by M. Intaglietta in this volume for additional details. 9. Pearson, M. J., and Lipowsky, H. H. (2004). 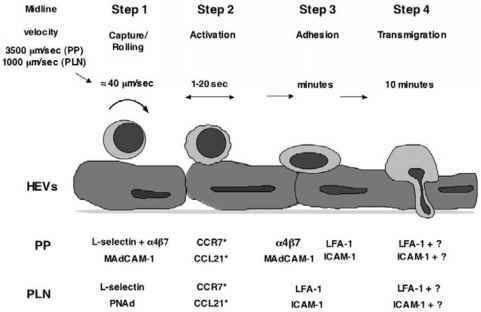 Effect of fibrinogen on leukocyte margination and adhesion in post-capillary venules. Microcirculation 11(3), 295-306. 10. Mulivor, A. W., and Lipowsky, H. H. (2004). Inflammation and ischemia induced shedding of the venular glycocalyx. Am. J. Physiol. Heart Circ. Physiol., 286: H1672-H1680. Characterization of the endothelial cell glycocalyx in postcapillary venules suggests that its composition reflects a balance between biosynthesis of glycans and their shear-dependent removal. Lipowsky, H. H. (1995). Shear stress in the circulation. In Flow Dependent Regulation of Vascular Function (J. Bevan and G. Kaley, eds. ), New York: Oxford University Press, pp. 28-45. Review of basic mechanics and hydrodynamic factors that contribute to flow induced shear stresses on the microvessel wall. Summary data depict the systematic variation of flow, hematocrit, viscosity, and shear stress throughout successive microvascular divisions.